New York, Dec. 6, 2016 – In response to a new Polish law that limits the ability of Holocaust survivors and their families to reclaim property in the City of Warsaw unjustly taken from them, WJRO has launched a new database of Warsaw properties to help survivors and their heirs identify their property so they can reactivate their claims before the Polish government takes final possession. The WJRO database for the first time matches different historical Warsaw city records to enable users to look for the names of family members or Warsaw building addresses to help determine if they, or someone else, filed a claim that may remain open for the property. Under the new law that took effect on Sept. 17, 2016, Holocaust survivors and their heirs have six months to come forward once their property is published in a Polish newspaper by the City of Warsaw. They then have three months to prove their right to the property. If no action is taken by a claimant before the deadline, the claim will be terminated, and the property transferred permanently to the state treasury or the City of Warsaw. Warsaw can begin at any time to publish addresses of properties from its list – which would start the clock on the six-month deadline for each property. Many survivors returning to Poland filed claims after 1945 under a Communist decree that nationalized all Warsaw property. However most of those claims were either rejected or not resolved, and many survivors and their families, 70 years later, do not know that they can pursue their claims. 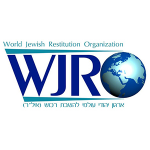 To assist survivors and their heirs, WJRO created a new webpage “Property Restitution in Warsaw” containing information and resources – including the searchable database. The WJRO database will use a special protocol whereby it will recognize alternative spellings of names— essential for finding family members. Properties in some of the most important streets of pre-War Jewish Warsaw, such as Nalewki Street, are in the database. The City of Warsaw has compiled a list of 2,613 street addresses for open property claims – but without the names of the owners. WJRO’s database matches these street addresses with property owners’ names found in the 1939/1940 Homeowners Directory for Warsaw or, where that was not possible, with the 1930 Homeowners Directory as well as through use of mortgage information. It is not known how many other cases beyond those in the City’s list remains open. The new Warsaw property law does not address people who did not file claims right after World War II, or people with property outside of Warsaw. Taylor noted that the Warsaw law is indicative of a much larger issue facing Holocaust survivors from Poland. The new WJRO Warsaw web page can be found here or through www.wjro.org.il.